Unless you’ve been hiding in a dark room for the past few months, you must be aware that 2012 is THE Olympics year. So why not take inspiration from the sporting world when choosing your next fragrance? 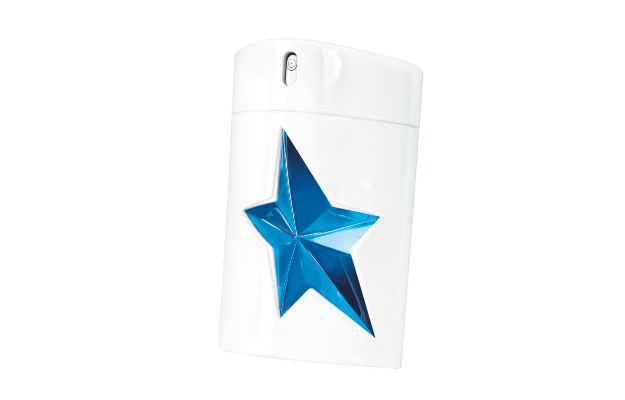 Not just a rebrand but a completely new scent A*Men Pure Shot, created by Jacques Huclier at Givaudan for Thierry Mugler, is the perfect way for stylish guys (and non Olympians) to stand out from the crowd. The face of Pure Shot is modern day hero and Olympic hopeful Oscar Pistorius. Here at The Grooming Guide we think that this extraordinary athlete is the perfect partner for this unconventional fragrance. It’s initial mint top notes give a crisp opening, which is followed by mid notes of spicy white pepper, culminating in a heady finish of potent sequoia wood and patchouli. This translates into a fragrance that is far fresher and less ‘chocolatey’ than the original A*Men, and our testers loved not only its’ distinctive Mugler strength but also its’ lighter and sportier scent. Housed in a shiny white rubber bottle, Pure Shot may not turn you into an Olympic athlete (sorry!) but it will give you that welcome boost of olfactory adrenaline when you need it. Available: From 31/5/12 Stockist Information Line 020 7307 6700.